Happy Holidays everybody! A new year on the horizon, and changes have come and are coming to familiar faces in the Superhero Community. In the world of comics, costume redesigns are hardly a new thing. Yet these changes can either be met with positive feedback or the nastiest criticisms depending on execution. Popular heroes like Spider-Man have been known to swap their traditional outfits with new duds that serve a purpose or storyline, such as the Black “Symbiote” Costume and Iron Spider suit that came during periods that served to springboard change in the wall-crawler’s life. However it can also backfire and alienate readers who prefer the original look, as in the case of Superman when his entire power set and attire changed in the late 90’s to an “energy being” who no longer wore a cape and was very much human when he transformed into Clark Kent. Now it appears that two of comicdom’s most recognizable heroines need that “change of wardrobe” to attract new readership and attention, and that of course falls on the shoulders of DC Comics’ Batgirl and Marvel’s Spider-Woman – and it’s the original women behind the masks to be precise. 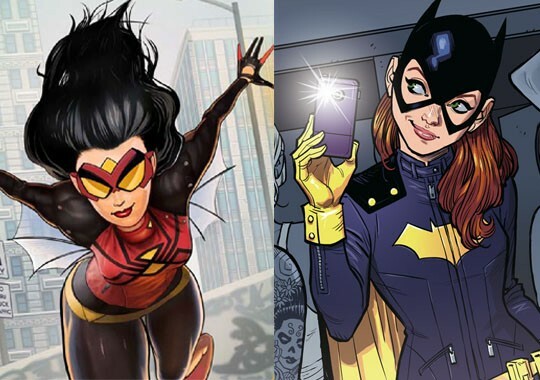 That’s right, Barbara Gordon and Jessica Drew have taken the big leap and risk in upgrading their wardrobes, adopting a style that some are calling “hipster” and is a reflection of today’s preferences for something completely functional and realistic over spandex and overtly sexual in nature. Yet while these outfits look new and shiny, they don’t work for one of these ladies entirely. 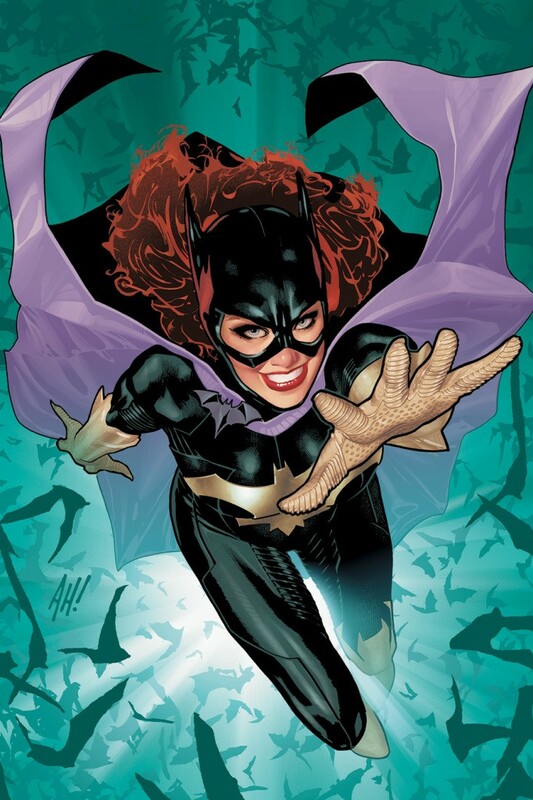 Batgirl has the honor and distinction of having debuted her new look months back, with the story coming out last July and reported in MTV News. The look, as designed by writer Cameron Stewart and artist Babs Tarr, has been called “hipster”. 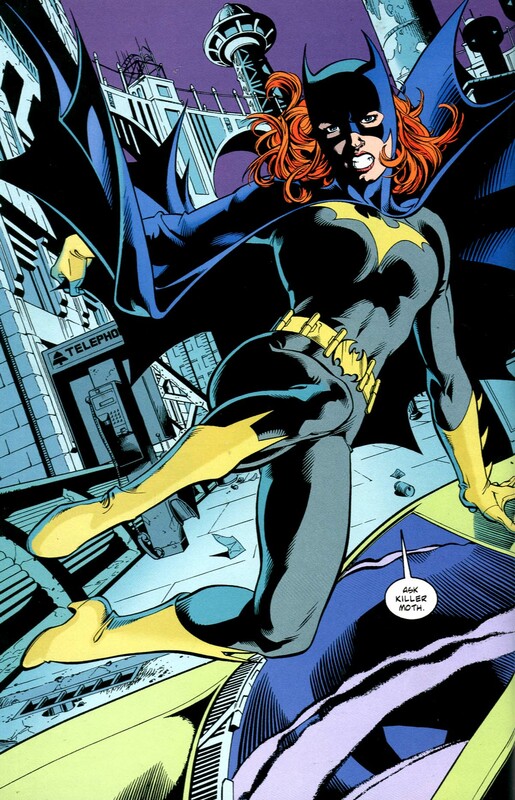 However, it’s not out of the norm for a girl who is both smart and skilled in crime fighting to wear something that’s not only casual, but is functional and more convenient to move around in. That look, as opposed to wearing the flashy and slightly colorful spandex/ armor hybrid that Barbara first donned with the relaunch of the DC Universe in the “New 52” back in 2011, looks mighty refreshing and perky to see. 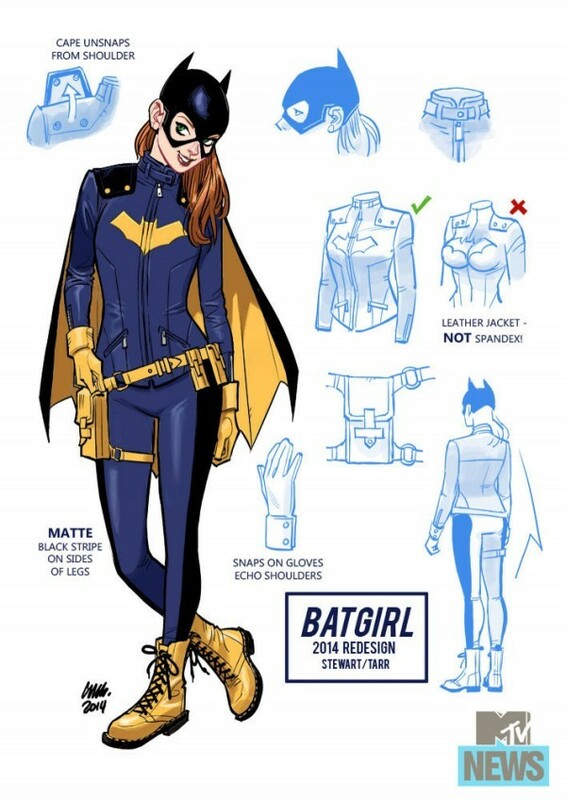 And while nothing beats a classic with her original DC Universe outfit, it’s refreshing to see a new kind of change for Babs to use that reflects a “lighter and more optimistic” tone than her dark adventures under writer Gail Simone prior to the creative team shift in fall 2014. 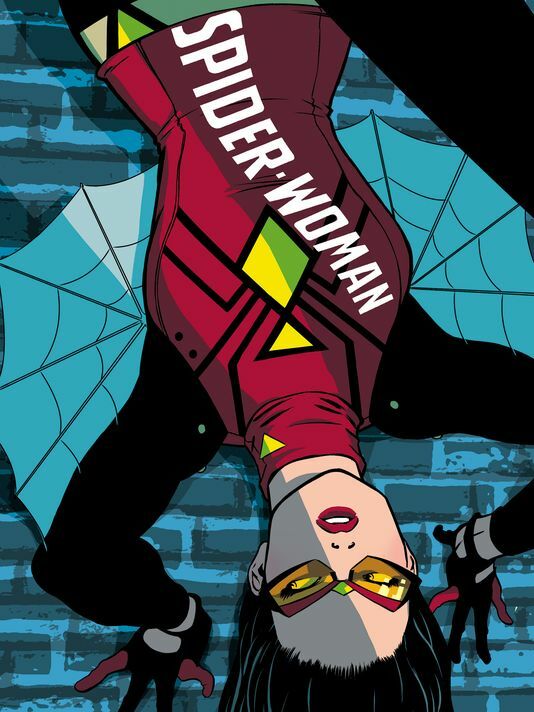 And now let’s look over to the House of Ideas and their changes to the “First Lady” of the Spider-Verse – Jessica Drew, the original Spider-Woman. The new redesign for her original Marvel Universe/ Earth-616 form is the first overhaul for the character since her debut in Marvel Spotlight #32 in 1977. Retaining the same color scheme, but shedding the spandex in lieu of something more conventional, something will persuade Jessica to “get on with the times” and get a wardrobe change after the events of Spider-Verse. 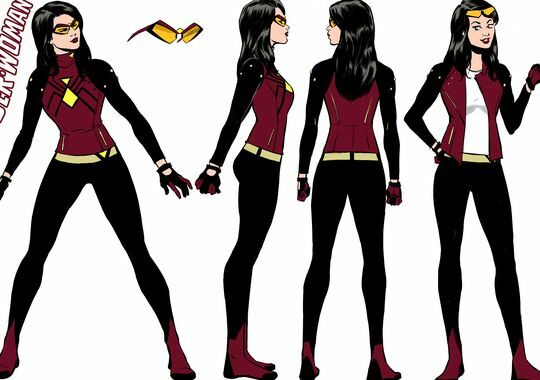 Yes, as shown in USA Today and debuting in this March 2015’s “Spider-Woman #5”, Jessica Drew will don something “hipster” with a bit of cool. However, compare that look to Jess’ original look with Spandex… And somehow it feels like a downgrade than an upgrade. 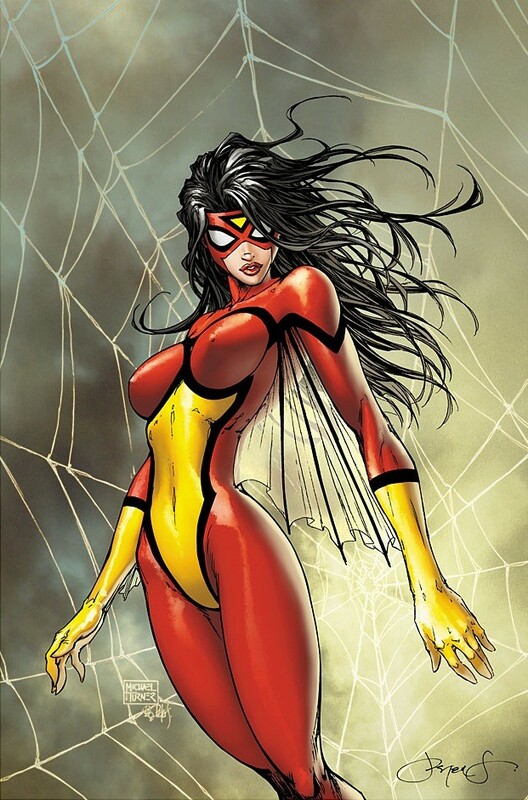 Ever since Brian Michael Bendis revived her career and put her alongside Earth’s Mightiest Heroes when the writer created the “New Avengers”, Spider-Woman has amazed and wowed new generations of comic book fans with her powers, wits, and overtly sexual looks. It’s part of the character’s charm and appeal, and somehow the new look by artist Kris Anka will certainly divide the line between purists and those willing to give the wardrobe change a shot. Either way, this won’t come along until after Spider-Verse ends early next year, so hold on to your hats and see how Marvel justifies the new look for Jessica… And if it’ll last long enough before she reverts back to her classic appearance. So got any thoughts or your own two cents on these changes to two classic female characters? Weigh in if you have any opinions in mind, but like it or not, the looks are certainly going to stay for some time.